It was horsey bath time today. A friend of mine who loves to paint horses is coming over to take some reference photos tomorrow, so the girls have to be looking their best! 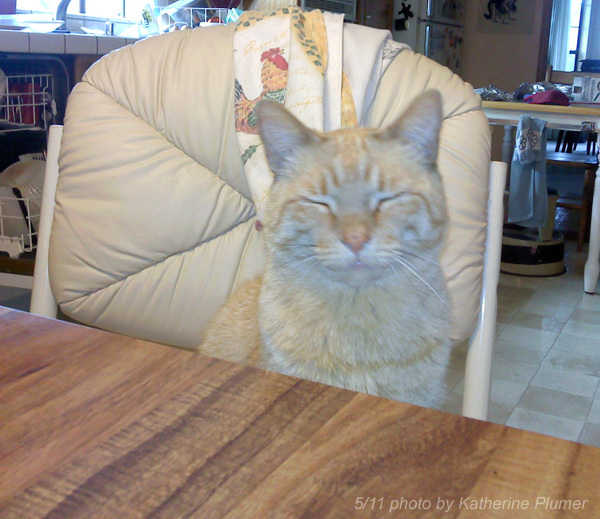 Zen kitty Olin sends telepathic messages telling me to drop some of my BBQ'd chicken into his mouth. 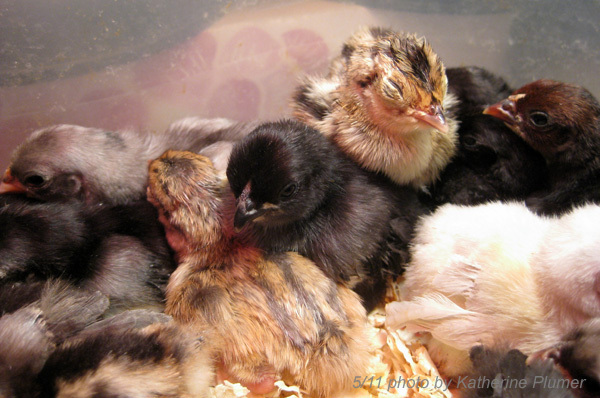 I'm hatching some Ringneck Pheasant chicks for a friend. Here's two of them hanging out with my 1-week-old Rosecombs before they go to their new home. 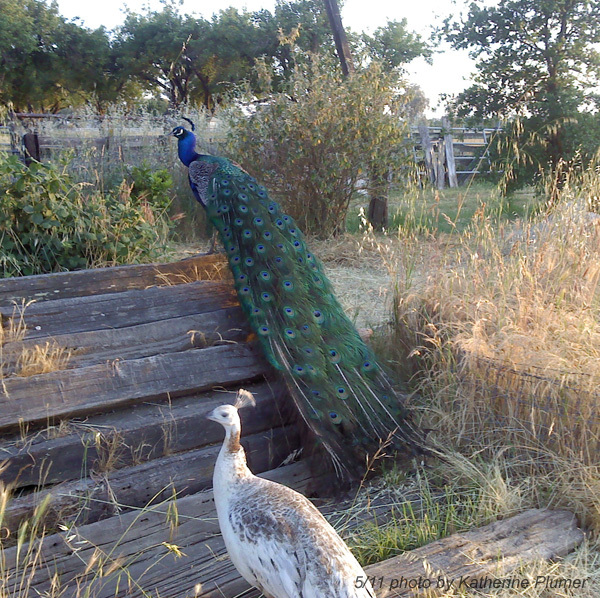 You know I'd take a pair of peafowl in a minute, especially if I could get them as youngsters, to spoil them rotten, if the stupid highway wasn't so close. 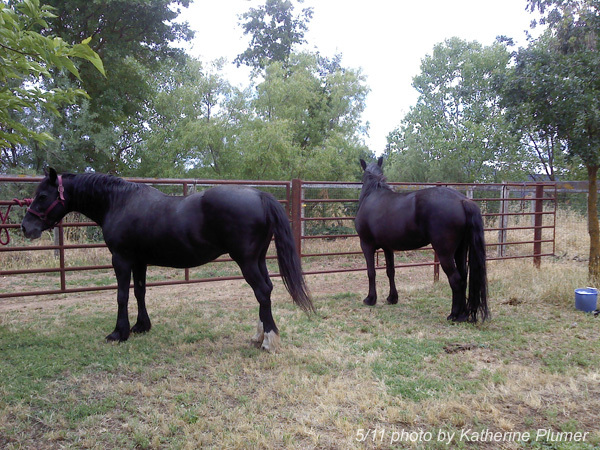 I can see where a herd of them would be annoying, but I still miss Rudy and Trudy. The pheasants are fine this a.m. The little one with the bad leg is iffy, but it eats and drinks. 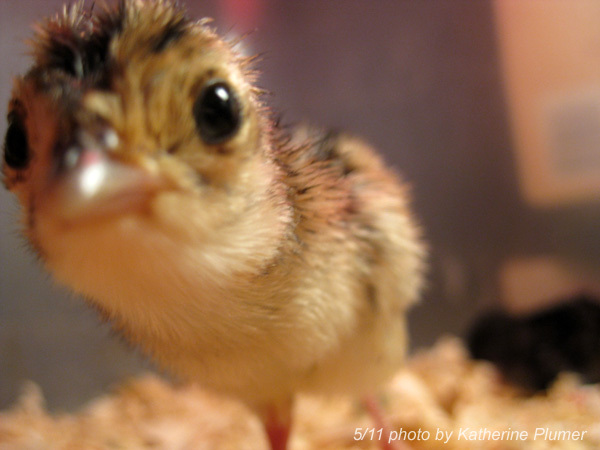 Funny pheasant chick foto! It really made me chucke this AM. I also love that pleasant pheasant photo, cracks me up too. 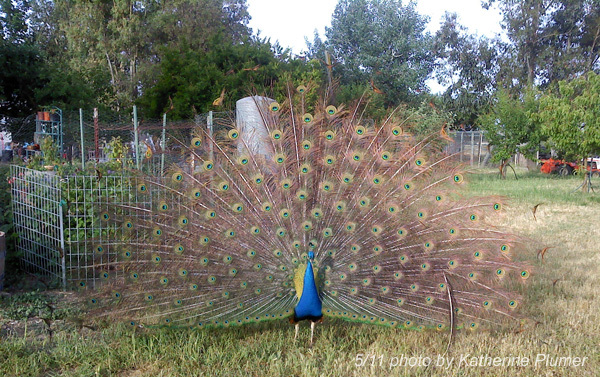 I have known people who kept peacocks and they can be a nuisance. They have scratched the tops of visitors' cars and will come into the house and steal fruit from the fruit bowl apparently. But they do look gorgous.